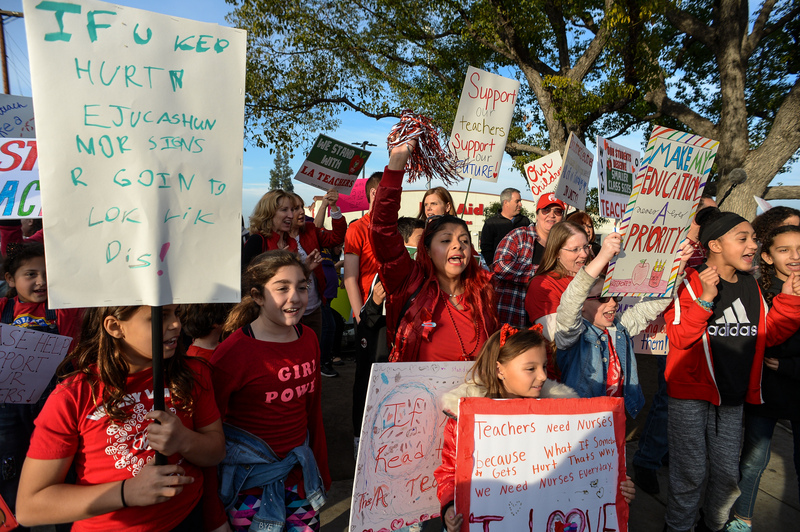 Dozens of students, parents and teachers took to the streets in Woodland Hills Friday to show their support for Los Angeles teachers who are expected to go on strike Monday. 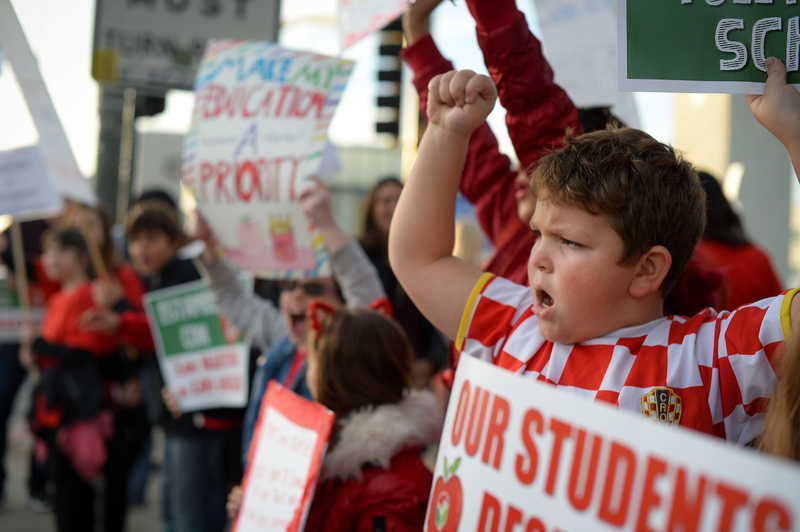 Daneh Gallo, a fifth-grade teacher from Welby Way Elementary School, in West Hills, said she was not concerned about a pay raise but rather about her class size. 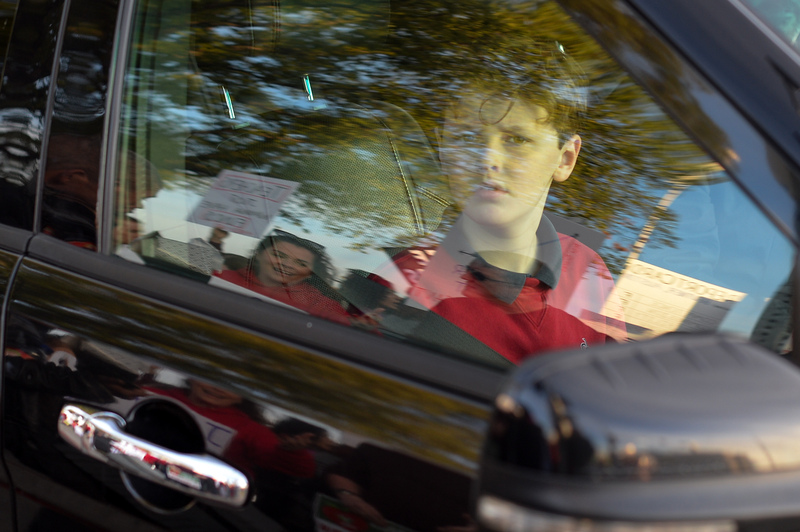 At the rally, students held signs that read “Teachers just want to have funds,” “Speed limit 45 and not class size,” and chanted “Together united, we’ll never be divided,” drawing honks of solidarity from passing cars. 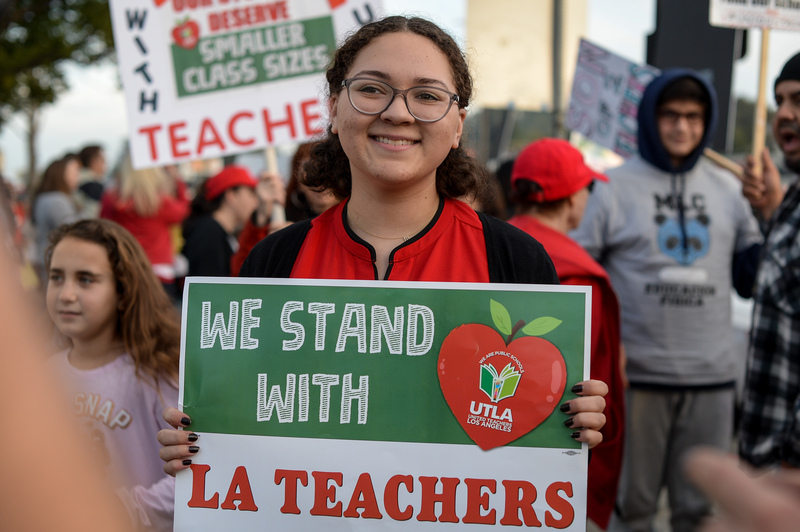 Mia Medina, a student at John F. Kennedy High School in Granada Hills, a morning school announcer for three years, said she was removed by the school’s principal Friday after expressing her support for teachers. L.A. Unified had no comment. 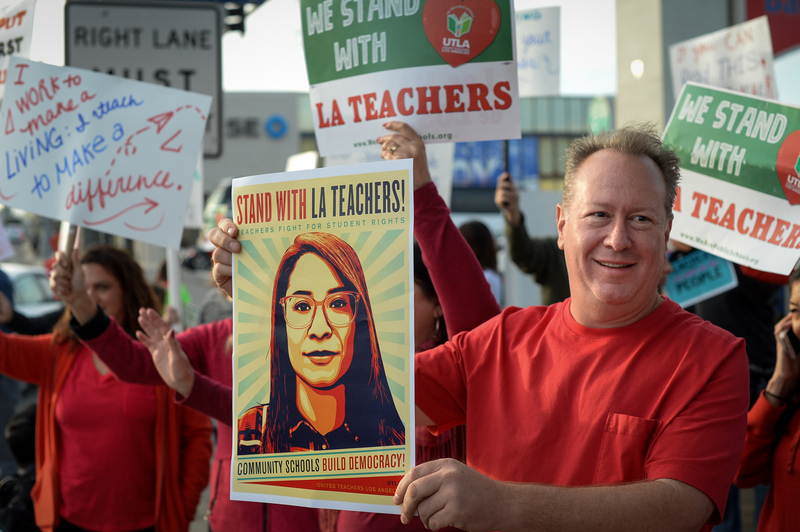 All told, nearly 30,000 members of United Teachers Los Angeles are set to walk out on Monday after nearly two years of bargaining over a new contract with the district have failed. Mary Jo Reimer, from Bertrand Avenue Elementary School, in Reseda, said she deals with overcrowded classes on a daily basis. “Twenty-eight children for one teacher is a lot,” she said.